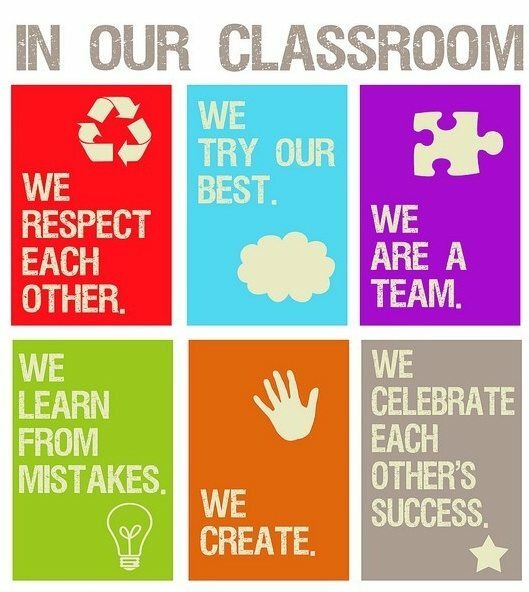 We are team classroom. Learning can be a solo venture. It can also be a team sport. When you build team classroom, you unleash a giant. Your class can learn more, grasp more, and move faster. Students learn to appreciate each other’s strengths and work together. 1. Have a wordless way to ask for help. Flags, indicators, cups. Something. Teach team classroom to spring into action when someone is struggling. As the teacher, be one of those who helps those struggling too. You’re part of the team. One of my secrets of an awesome classroom is empowering everyone to help. There are no bystanders. We have these cards I call “flip cards” or “station cards.” Each student gets one, and they slide into a slot above the computer where everyone can see. When everything is great, the card is green. When they are stuck, the card is red. If they just want to talk to me (not urgent, have a question like a grade, etc.) the card is blue. If they are away for a moment (like checked out to the bathroom), the card is yellow. But what is awesome is what happens when someone sees the card flip to red. It reminds me of rafting. Before you go down the Nantahala river, they give you this talk. I’ve heard the talk at least 50 or more times. A red card is a similar call for help. If I’m not available or across the room, everyone’s goal is to help that person get back on track. Of course, there’s one significant rule — no hands on anyone else’s mouse. Help one another do it themselves. 2. Help students appreciate everyone’s unique strengths. anything that helps students see that “book smart” is not the only smart. When they start appreciating talents, they become more confident of their own. They become grateful of strengths in others. Classroom example. Fifth grade teacher Laura Candler talks about how she used an “intelligences” quiz to do this with her students. 3. 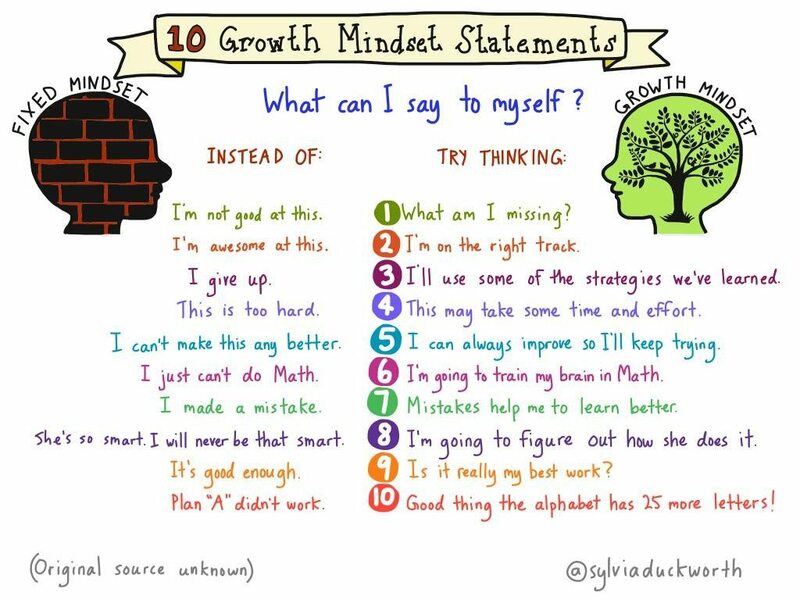 Praise the types of behaviors you want to see with growth mindset words. Talk about your team classroom with words. “We work together.” Things like on the poster above. Study great coaches. Learn how they help their team work together in positive ways. Classroom example. Read the Teaching Growth Mindset post including the words that you should say to promote a growth mindset. 4. Be clear when things you’re doing are NOT team classroom type activities. Tests, if you have to give them are definitely a solo endeavor. 5. Plan celebrations together of great achievements. Today in my classroom we’re having a “screening party.” Everyone has finished their movies and we’re watching them. We’re bringing breakfast foods. I’m planning to tell them just how I feel about their accomplishments. They’ve worked so hard together. Classroom Example. You can see the Invent this project we did on our public wiki. When you ask a question, step back and let them discuss it. When they come to you with problems, teach them how to work through the problem. Only get involved in the rarest of circumstances. Classroom example. When my students created their app projects last year, they did it. I was an advisor. They led. You can see their teams, presentations and videos. Note that these teams were across classrooms. Every team had someone from one of four classes. They used Trello to coordinate their work. Leadership and Mystery Location Idea. One of my favorite aspects of the book Connecting Your Students with the World book by Blumengarten,Krakower, and Naugle is the leadership positions they designate as part of the mystery location calls. If you’re doing Mystery Location Calls or “Mystery Skypes”, you can build team classroom NOW with their ideas. 7. Value your students’ opinions. Students will come to you for opinions. I always ask what they think first. Help students become known for their strengths. 8. Be willing to admit when you’re learning or mess up. We all mess up. When I make a mistake or inadvertently have a misunderstanding, I privately apologize to the child. There have been a few times I found out that something I said was misconstrued by several kids. When that happened, I apologized publicly in front of the class with that person’s permission. Every single child deserves respect. To be a team, you must respect all of the teammates. 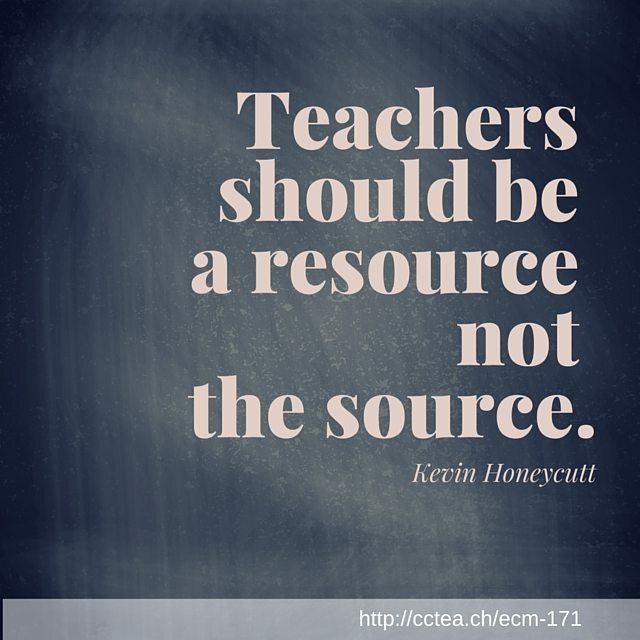 When teachers mess up and cover it up, they are not behaving honorably for their team. These teachers are undermining themselves by letting their pride keep them from doing what is right. 9. Never speak ill of another student or teacher when they are not present. If students want to say something negative about any other person, it will not happen in my classroom. If they want to talk privately to me about a problem they are having with another student, that is fine. But a public “dissing” with other kids will not be tolerated. There’s too much gossip, slander, and unkindness in the world today. My classroom is a place of respect and people who are not there deserve to know that their reputation is safe in my classroom. Students should have social entrepreneurship projects. They can choose to make a difference in the world together. Unleashing student creativity in this way creates a passion for the project and for learning how to do the project. You can incorporate passion-based projects into any subject. Classroom examples. Pauline Roberts and Sciracy, the 4 Liter challenge, and my students talking about passion-based learning are three examples of passion based learning in action. You have a classroom. You build a team. Build team classroom. Teamwork certainly makes the dream work. But the secret is to have great dreams and build highly effective teams. Everyone doesn’t have to get along. But everyone should “get” what you’re teaching and be able to work as a team. You can do it. Speaking of teams, we’re a team. Team teacher. That is who we are. We reflect. We encourage. We help each other be more. Go team! Be an awesome educator every day. We can do this! Attribution note. The graphic at the top of this post seems to have come from teachfactory.com, however, that domain name is for sale, and I can’t find any trace of the company. It is an incredible graphic. The post 10 Ways to Build Team Classroom appeared first on Cool Cat Teacher Blog by Vicki Davis @coolcatteacher helping educators be excellent every day. Meow!